I stayed at the Mount View Hotel for my anniversary last year and added the Calistoga Romance package which was the perfect choice. We arrived to find a bouquet of gorgeous roses, Woodhouse chocolates and a bottle of champagne. It definitely set the tone for the romantic weekend we had been looking forward to. The staff was friendly and accommodating and helped us select wineries to visit and reserved our dinner reservations and spa services for us. The highlight was the outdoor pool and mineral whirlpool and we will definitely celebrate our anniversary here again. The Mount View concierges told of us of some really romantic picnic spots at nearby wineries! "But of the few original historic resorts remaining, the standout is the Mount View Hotel, which has been brought back to all its former elegance -- and then some. It's easy to picture Carole Lombard or Ingrid Bergman gliding through the high-ceilinged lobby and lounging artfully in one of the airy suites. 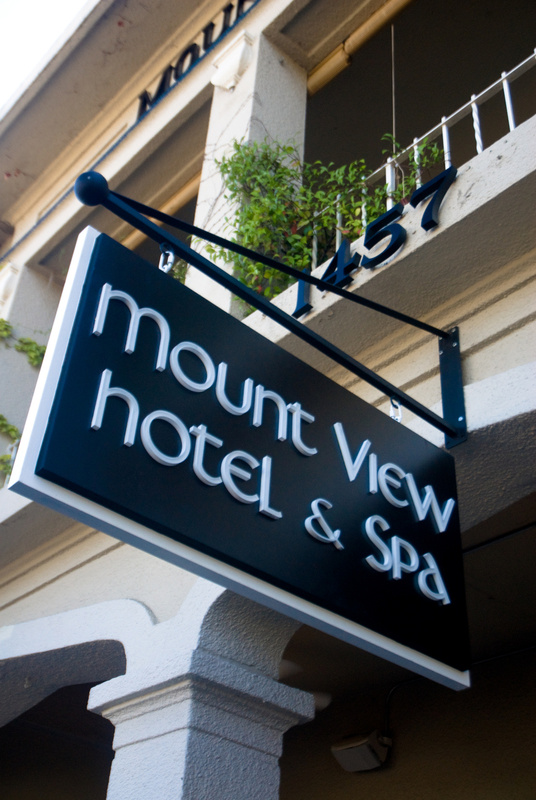 But it's the hushed, luxurious spa that really sets the Mount View apart." - FORBES 2012, Days with Zahrah, Great Escapes, Let's Make a Deal, Price is Right, Best of Investing.